As we approach the first minutes of 2013 after enjoying a lovely dinner among good friends and family, I have never experienced as much eager anticipation about starting a new year as tonight. Other than, perhaps, when I was 8 months pregnant with Chloe as 2000 ended and 2001 began. When I imagine the limitless possibilities for the year ahead for my family and me, I can’t help but smile. It’s a sentiment I haven’t felt in a long time, and one that’s been long overdue. I’ve never paid much heed to the expression “the world is your oyster” – it’s a cliche to end all cliches. But tonight, I admit to feeling like maybe there is some truth to it. 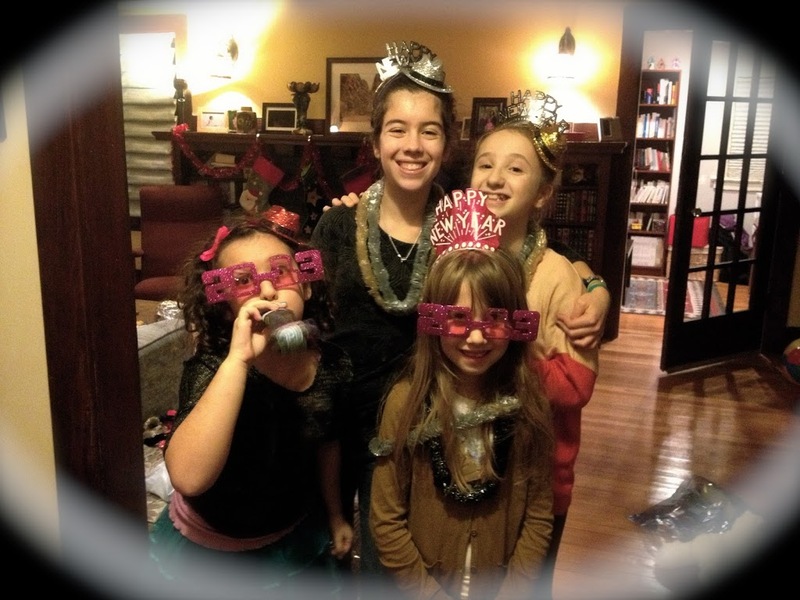 The girls spent time with dear friends tonight – the world is definitely their oyster. Their gleeful exuberance is one of endless horizons and laughter and hope. And for once, I sort of get where they’re coming from. Happy 2013 to all my family and friends. And especially to my husband, Chloe and Sophie – the lights of my life. I love you so very much.